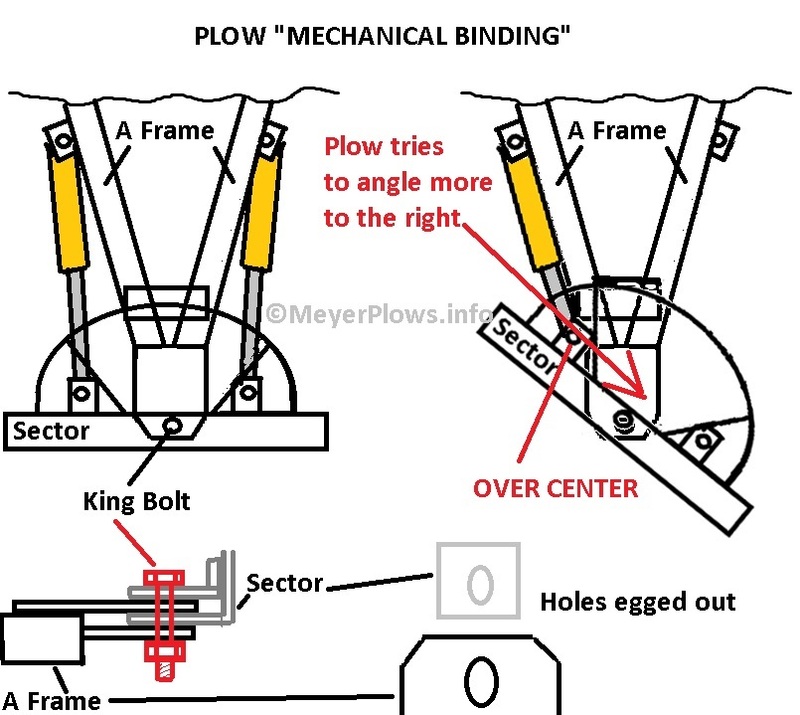 Meyer Snow Plow Information - Meyer Plow Mechanical Binding? chart. 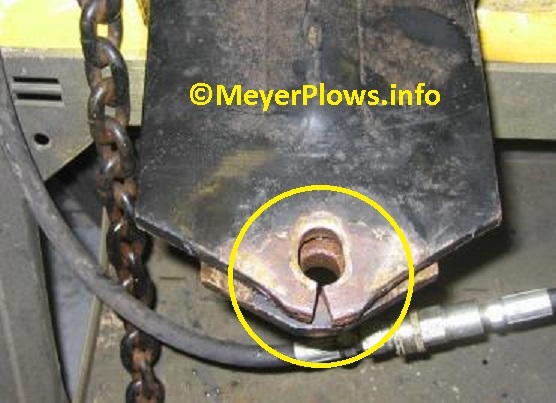 The problem is that unless something is bent or very "off" the plow will not bind when you PULL it side to side. 1. 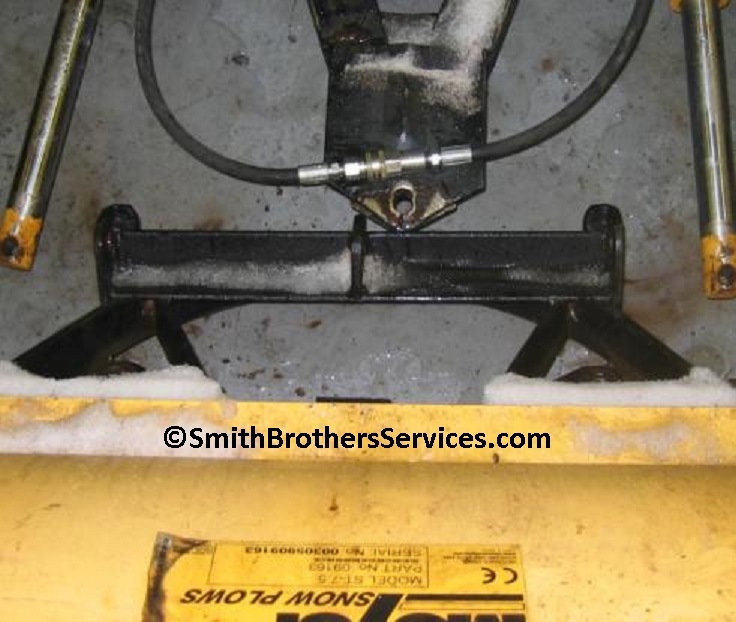 "Can the snow plow be angled by hand when the PA Rams are disconnected from the A Frame?" 2. 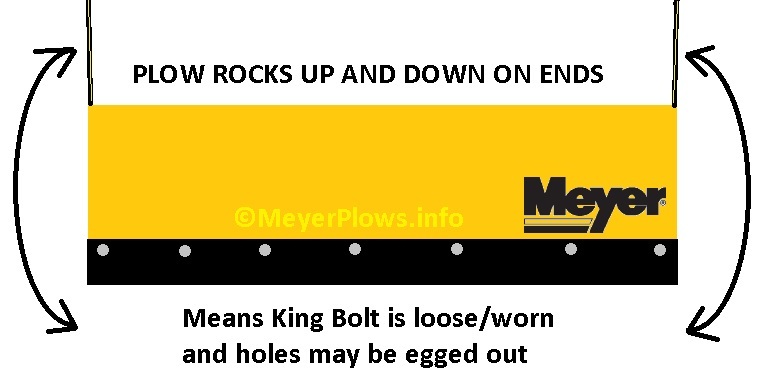 "Will the snow plow angle right and left if not allowed to travel to extreme angle position?" 4. 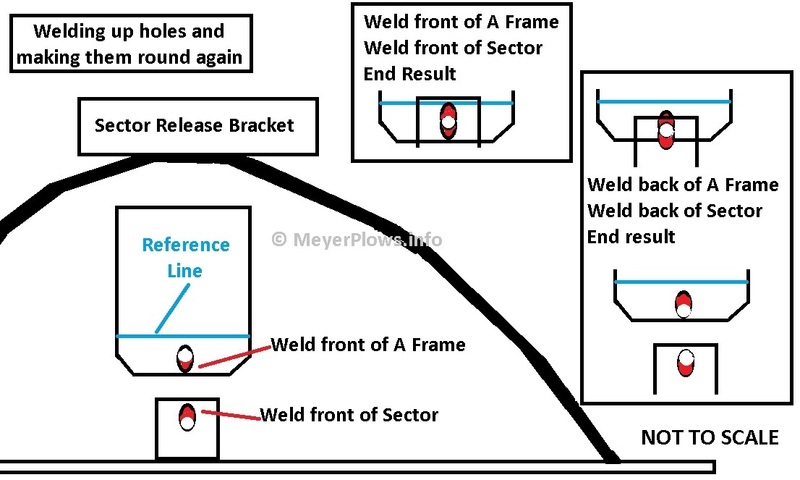 "Weld 1-1/2" x 1-1/2" x 1/2" spacers to the A Frame stops." Rams, the plow will not bind. Again, because we are not pushing on that specific point to move the blade. The picture below is not perfect, or to scale but you get the idea. it is not specific to one side. Why does it happen? opposite direction. So the plow gets stuck to one side. change the geometry instead of putting it back to where it was designed to be. In the pictures below, the Sector is upside down. ofthe plow, it will rock up and down a few inches, sometimes as much as 6". 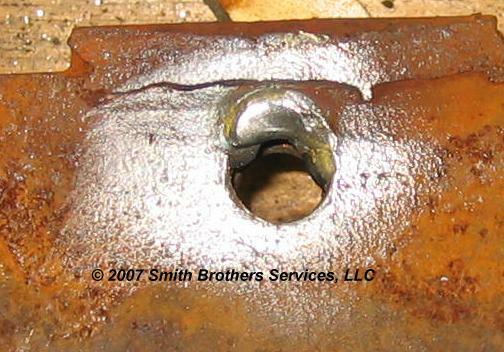 Once a King Bolt has been beat on and hammered by being left loose for so long, you can rarely tighten it, or even loosen the nut without a torch. 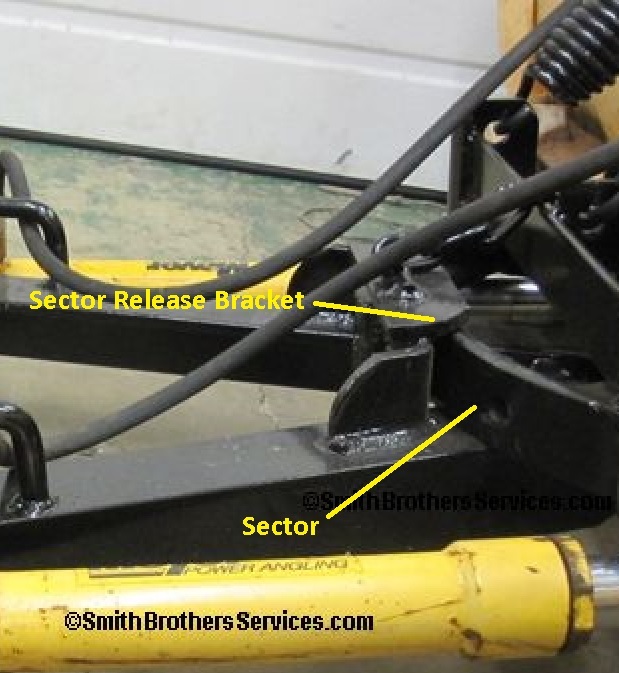 plow and know how hard it was used, the position of the Sector in relation to the Sector Release Bracket. if you welded it wrong. You would move it more out from under the Sector Release Bracket. happen. Anyone who thinks theirs fell out, had sloppy holes in the Sector and A Frame and the bolt finally sheared. 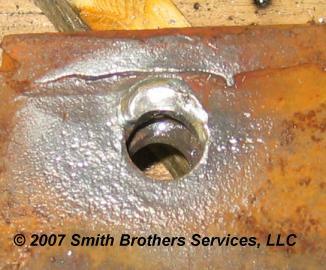 have to do the same to remove or replace the King Bolt, after the Trip Spring Eyes have been rusting in place for years. IF it is installed from the bottom, it can be replaced without loosening the Trip Spring Eyes. 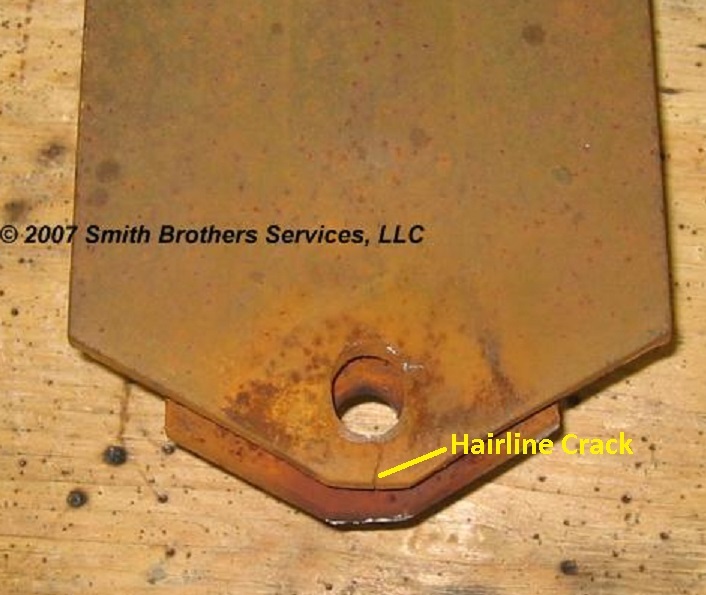 it will not fix the real problem, it will allow the holes to get worse until the plow breaks in two. 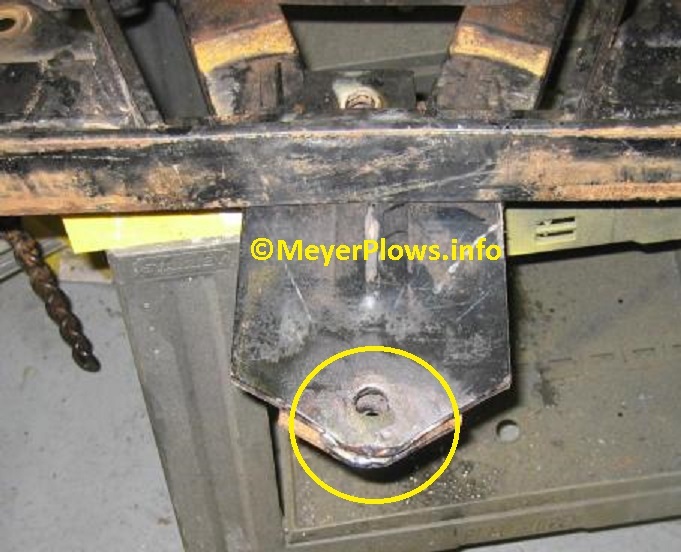 Here is a Meyer ST Series cracked Nosepiece, and the repair. 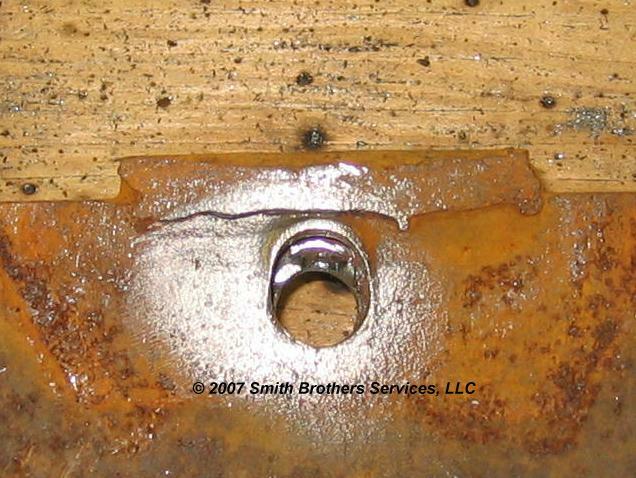 Here is another Nosepiece that was caught before catastrophic failure.